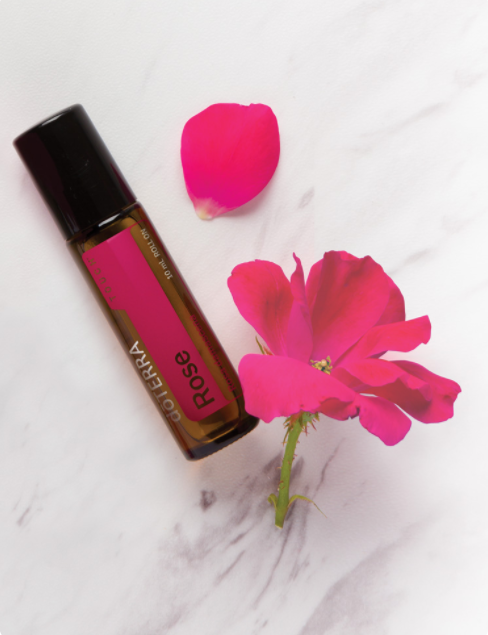 Previously only available during special promotions, the long awaited Rose essential oil is now available for regular purchase in a 10 mL roll-on bottle as a part of the doTERRA Touch® line. doTERRA Rose Touch combines Fractionated Coconut Oil with Rose essential oil, one of the world’s most precious essential oils, making applications and usage options both affordable and convenient. Known for its sweet floral fragrance, doTERRA Rose Touch also provides a myriad of benefits when applied topically. Rose can also be found in our dōTERRA Console, Immortelle, and Whisper blends. Whisper is a fascinating oil for me because, when used as a perfume, its smell changes based on who wears it. For example, when Chelsey wears it, it faintly reminds me of my Grandma’s perfume whereas when my wife wears it, it smells sweet and floral. Similarly, Rose will give you a unique and personal fragrance to have throughout the day. A welsh actor, Richard Burton, once said, “If I had a chance for another life, I would certainly choose a better complexion.” Same, my friend, same. While we can’t change our complexion, we can use dōTERRA’s new Rose Touch, which is a gift from the universe when it comes to getting our glow back. This precious oil comes from the Bulgarian rose and requires one of the most labor-intensive processes to produce. Rose essential oil keeps you happy and uplifted, just apply a little to your pulse points throughout the day to keep you calm and collected. Because of Rose’s sweet floral aroma, it is well-known in the perfume industry. For a beautiful and elegant personal fragrance, apply doTERRA Rose Touch to your neck and wrists. Rose’s scent is not only sweet and floral, it also provides emotional benefits and is emotionally uplifting. Throughout the day when your mood needs a lift, apply doTERRA Rose Touch to your heart and pulse points. doTERRA Rose Touch is known to reduce the appearance of skin imperfections and promote healthy-looking, radiant skin. Because of its convenient application in a roll-on bottle and its combination with Fractionated Coconut Oil, we love applying doTERRA Rose Touch directly on skin imperfections in the morning and night. Not only will it help reduce the appearance of skin imperfections but it will also promote an even skin tone and healthy complexion. This entry was posted in Specific Oil Uses and tagged rose. Bookmark the permalink.